At fairly late notice in 2011, I became fed up of the terrible summer weather in Holland and decided to get back to the US for some relaxing flying. The trip to Egypt had been incredibly good fun, but it certainly wasn’t relaxing for most of the time! 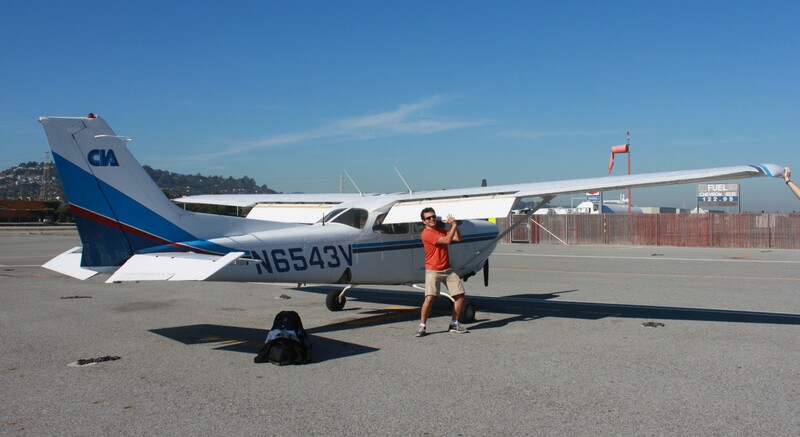 I booked flights out to Los Angeles and got in touch once again with Channel Islands Aviation, the rental outfit which had supplied the C182 for the trip in 2009. This time I decided to make another attempt at renting their C172 RG, N6543V, which we had intended to fly in 2009 but broke down before we set off. The attraction of this aircraft is the retractable gear; it gives you some extra speed, seems to be more stable than a standard C172, and most importantly it just feels like you’re flying a proper airplane when the wheels go up. I arranged to spend my first two days performing a rental checkout, including an instrument proficiency check to enable me to use my instrument rating; it had lapsed since gaining it in 2010. The first afternoon would be spent using a Redbird flight simulator, which I had not tried before, and the next morning would be the checkout in the aircraft itself. The charts and approach plates I would buy on arrival, but I spent a while brushing up on the instrument flying handbook just to take some of the rust off. Finally, I ordered a new tent to be delivered to the flight school so that I could collect it on arrival; once again, I’d be avoiding hotels and camping out on the airfields or other locations wherever possible! This time I would be making the trip nominally solo, but would not be short of company. A friend of mine from West Virginia, James, would fly out to LA to join me for a few days at the beginning of the trip, and then fly out again a week later to meet me in Reno and fly for a few days. In addition I planned a weekend in San Francisco with a friend from University; and apart from this, of course, you always end up meeting interesting people on trips like this! Click here to start reading the trip report, or use the links below.